When Hank leaves South Dakota for Montana, he carries a heavy heart and some dark secrets; all of his belongings fill just one small suitcase. A country boy who doesn't speak the King's English, he's willing to work hard and keep his head down. He finds that opportunity as a flatland ranch hand helping Russell and Lora with the chores and their cattle in the Missouri Breaks in eastern Montana. The family provides him with work, renewed faith, and a respite from his troubled past. They introduce him to Eileen, a beautiful, confident red-head. Their courtship revolves around working the land and the ranch, as well as truly learning what it means to be a family under the grace of God. 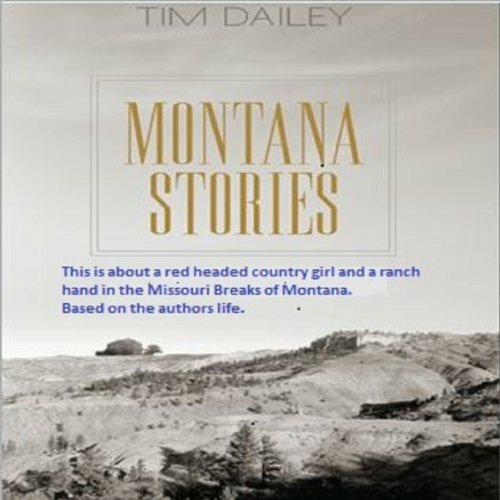 Montana Stories tells a fictional story of the joys and sorrows of the seasons of ranching, cattle drives, hard work, a clean life, and good morals.